Everyone loves going out for dinner. It’s a wonderful opportunity to sit down and spend some quality time with family and friends while eating a delicious, professionally prepared meal. Sometimes, however, it can be difficult to find a choice on the menu that appeals to you, especially if you happen to be a bit of a picky eater. This is why buffets are so wonderful! 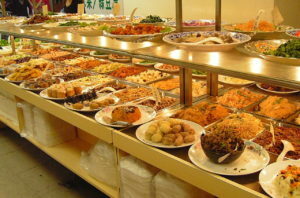 Buffets have a wide selection of food and desserts, and most of the time, they are all-you-can-eat meals, making them the perfect solution for everyone. So, who actually came up with the idea of a buffet? It all started in Sweden several hundred years ago. 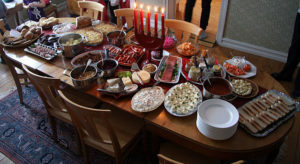 According to TheKitchn.com, members of the Swedish upper class would start their meals with a small appetizer table containing a simple spread of bread, butter and cheese. As time went on, it began to include a selection of meats as well, but guests would still sit down for a proper meal afterwards. It often would happen about two to five hours before the meal, unlike the appetizers we have these days. The men and women sometimes would even separate into different rooms. The Smörgåsbord became even more popular in the 17th century, and the food started being served at the main table rather than on its own table in a separate room. It quickly began evolving, and it soon contained both hot and cold dishes for guests to choose from and enjoy. Smörgåsbords also started being served in hotels and at railway stations as a way to both feed and entertain guests. It was during the 1912 Olympic Games when many restaurants in Stockholm began serving a Smörgåsbord as the main course instead of only an appetizer. 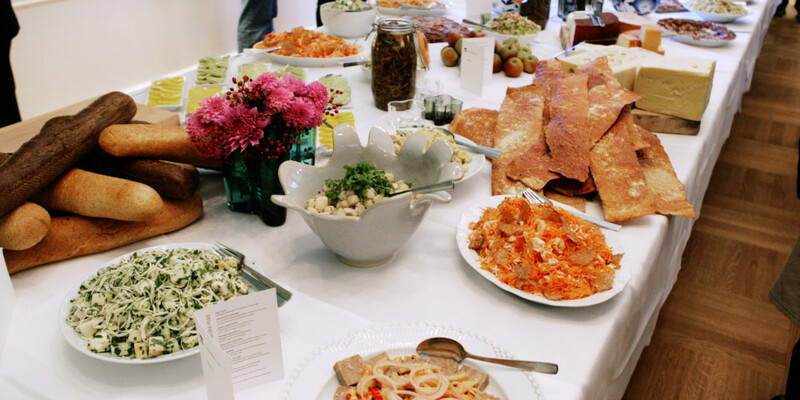 According to Mental Floss, the Smörgåsbord was introduced to America in 1939 at the World’s Fair in New York. Sweden brought the Smörgåsbord with its representatives, offering a large selection of food on top of a rotating platform at the Three Crowns Restaurant. This idea eventually would inspire a lot of different buffet-style restaurants throughout the 1950s – although they weren’t quite as structured or impressive as the Swedish intended for them to be designed. The idea of a buffet also was popularized in Las Vegas when the owner of a hotel just brought out some basic bread, cheese and cold cuts in an attempt to keep his gambling customers happy. People loved the idea, and more and more hotels in Vegas started doing this, as highlighted in the Mental Floss piece. The word “buffet” actually comes from the French word for a piece of sideboard furniture where food would be served, but over time, people started applying it to the Smörgåsbord style of serving. It is now a fully accepted word in the English language. The buffet style of serving is, of course, wildly popular in all sorts of cultures these days. We have the upper class of Sweden to thank for not only inventing the concept, but also for introducing it to America for us all to enjoy.